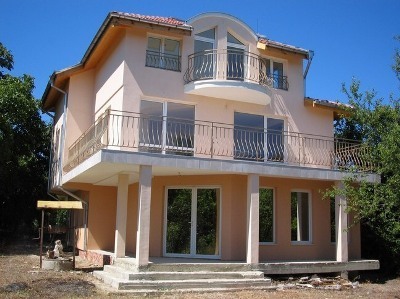 This nice three-story villa is situated only 1 km away from Black sea coast in the villa zone near by famous resort "Golden Sands", 12 km from Bulgarian sea capital Varna. It boasts views of the sea. 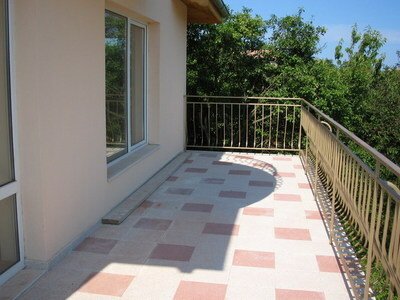 Most rooms have either private or shared balconies. All rooms are equipped with telephone, television/satellite sockets and internet. The home facilities are electricity and running water. The entire infrastructure is in place for solar panels and motorized satellite dish on roof. A security system is installed and monitored 24 hours a day by local security company. There is installation for local heating (including solar). The area around is a quiet place and gives a lot of privacy but with easy access to major bus routes. Total living area is 240 sq m.
The first floor consists of large entrance hall with fireplace, 1 bedroom, shower room, toilet and utility room with 200 liter boiler. Second floor consists of open plan wooden floored living room with fitted kitchen and very large balcony, 1 bedroom with private balcony and large en-suite bathroom and toilet. 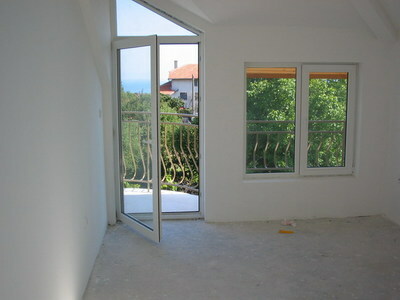 And the third floor consists of 3 bedrooms with sea views and balcony, bathroom. Garden is 624 sq m and there is a well and parking. The house is almost completed. All toilets and bathrooms are tiled throughout but need to have the toilets and sinks installed. 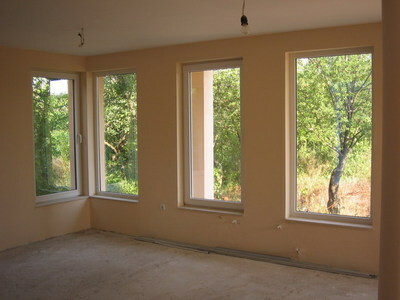 Bedrooms are ready for tiling or laminate flooring. Entering room on the first floor is ready for tiling or laminate flooring. The fireplace is fully installed but need decorative surround built. The hallways and stairs are covered in a polished stone. 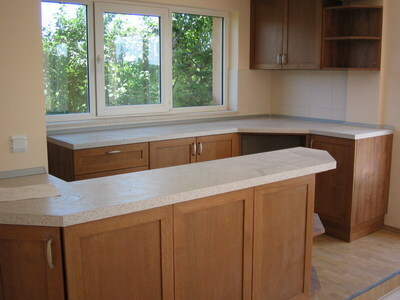 The price includes finishing of the floors and toilets. Any other work can be negotiated. The property location makes this investment attractive. This new build house can be used as a small hotel too.